Rising TDN star Filly with great potential. Do Hollendorfer, Smith Have the Next Songbird? For any trainer and jockey, a filly like Songbird (Medaglia d’Oro) is supposed to be a once-in-a-lifetime proposition. 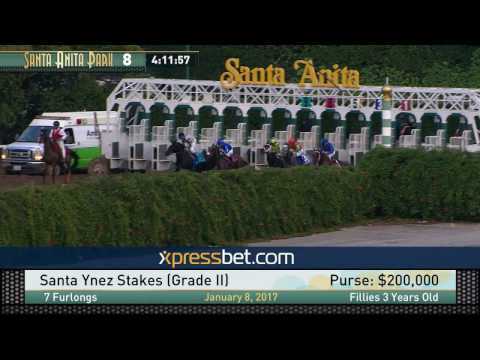 Not so for Mike Smith and Jerry Hollendorfer. They might have another one, one that could be just as good. Exactly 16 months after Songbird broke her maiden by 6 1/2 lengths at Del Mar, the Hollendorfer team brought another freakishly fast filly to the winner’s circle at the seaside oval in second-time starter Unique Bella (Tapit). A Pennsylvania-bred, she won a maiden race Saturday at Del Mar by 10 1/4 lengths and was tabbed a “TDN Rising Star”. “Ability-wise and as far raw talent goes, I don’t know if they get as talented as she is,” Smith said of Unique Bella. As 2 year old described as "he Fastest Horse In The World." Kentucky Drrby potential than Kentucky Oaks IMO. Sensational! What a display. It was shades of Songbird this afternoon at Santa Anita Park as a Jerry Hollendorfer trained sophomore filly dismantled the field in the Grade 2 Santa Ynez. The filly in question is Unique Bella, and today she announced herself as the most promising three-year-old filly in the nation. KMM, would like to help but have no idea what ??? means. You can see the Unbridled's Song in her -- she looks like Arrogate. Gorgeous girl! I thought the same thing. She moves so smooth. Her dam is a beauty. Grand dam successful, too! ZATT's Star of the Week, is ... Unique Bella! I did some reading on Don Alberto stables just to remind myself of their journey north. Interesting information and huge move a couple of years ago. I think some will remember some of the buys they made. Also, Carlos Heller sounds as if the derby is a very real dream and so if this filly shows the talent adding panals, maybe she'll give it a go. Don Alberto stables just paid over a million $ for another Unbridled Song mare in foal to Tapit. Forgot her name. Looked it up. It was Siren Serenade. Don Alberto stables just paid over a million $ for another Unbridled Song mare in foal to Tapit. Forgot her name. @VA_in_CA her name is Siren Serenade (she's the dam of Luminance) I posted the Blood Horse article in the sales discussion.